This project is part of an ongoing research that I have been doing that involves the effect of Mediated Reality on the user and the user’s interaction with the environment. The project investigates the limits of human bearability towards wearable device as a new form of skin extension or technological prostheses found attached on the human body. It questions the extent to which human behaviour can be altered with such type of computer devices during interaction with, and inhabition of the environment. When technology becomes invasive, questions of control between user and device will be raised. In the circularity, exchange of information sharing between human and machine, each with their own goal, there will be instances where machine dominance and human subservience can occur. 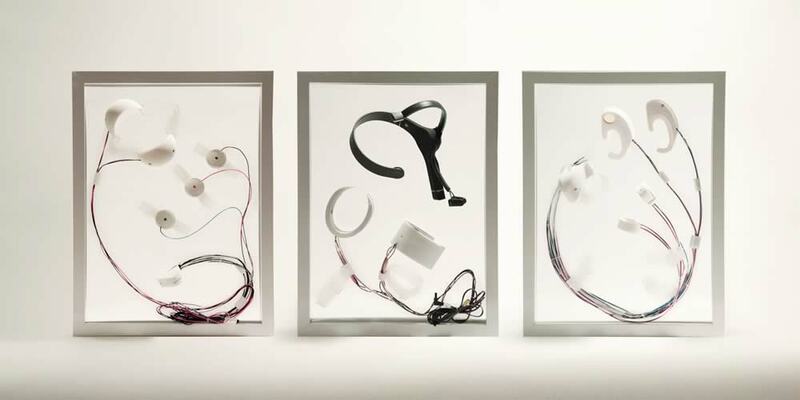 Reality Mediators consists of 3 sets of design experiments that seek to explore the degree of disruptiveness created by active goal-based wearable devices. The 3 sets of experiments consist of 3 different types of sensors, i.e. muscle sensor, brainwave sensing device and Global Positioning System (GPS). They are paired separately with 4 types of actuators, i.e. 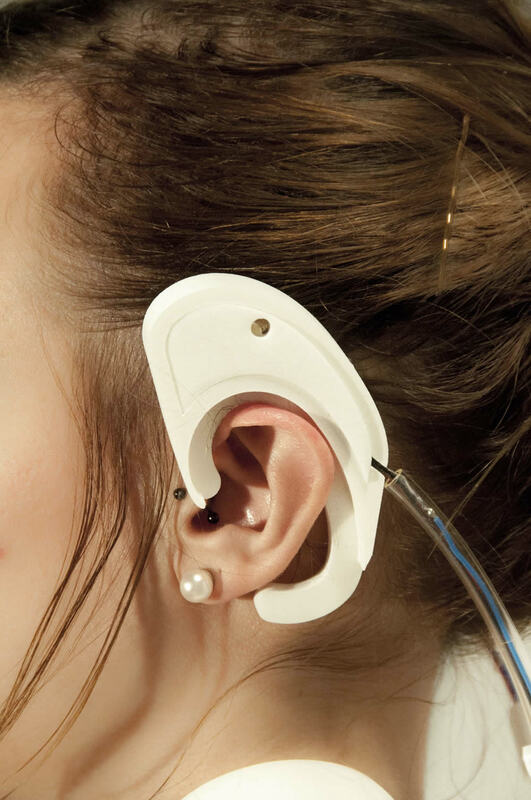 electrical muscle stimulation, sound actuators, heat pads and vibration motors, fitted onto different parts of the body. All the outputs create inherently unpleasant effect on the user so as to measure the level of obvious disruptiveness to user’s everyday activities. The design and packaging of each device is devised as a critique against commercially adorned technology that aims to provide consumers with benefit through the use of branding/marketing strategy and invasive media that breaks down the dichotomy between transparency of information sharing and human privacy.